Aren't they just great? They are also headed over to my Etsy shop in case you are looking for them or any of their little zippered friends! Besides sewing, I've been making great progress on my crocheted scrap afghan. This one is being stitched lengthwise so each row takes longer to complete and turning it is starting to become an issue! It's heavy! I only have 3 more partial skeins of yarn to add to it and then it will be finished and ready to keep someone warm and cozy! 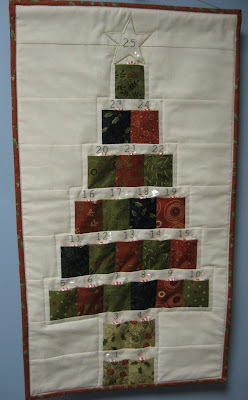 Swap partners for the New Beginnings Mini Quilt Swap over at Quilting Gallery have been sent so I can finally start stalking my partner and see if I can learn a little about what she likes before I decide what colors, fabrics and design I will use for my mini quilt. This will be fun! I'm pretty sure she does not read Hooked On Needles, so I feel safe sharing this project as it is in the works. But even if she does follow me, how would she know what I make is for her? That's the fun of a secret swap! I'll let you know as soon as I get started. I hope you have been working on a project that makes you happy too! I love them all - isn't it fun when you enjoy what you are making! Looks like we each are going to need that 12 step program. Yours are darling. I am same way, fabric and zippers ready to go. You make me want to make bags! I'm sorry, I have to disagree. 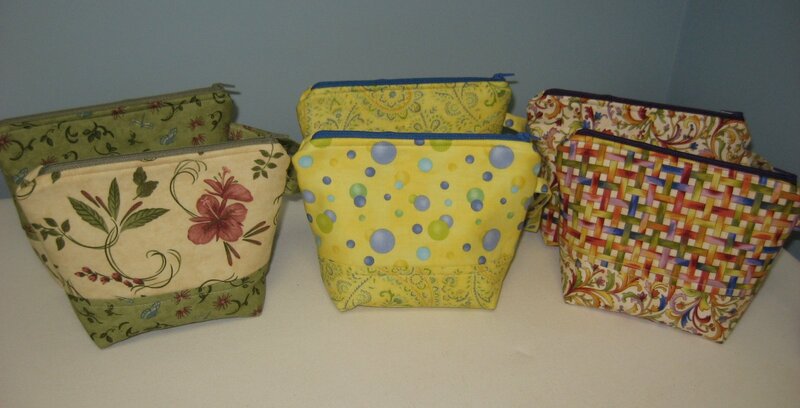 Twelve step programs are for people with problems, and I don't see that making darling zippered bags as a problem :). That's my kind of obsession, and I may start making the cute little bags myself! They are absolutely darling, and I hope you never find a twelve step program to make you stop making this eminently useful and decorative bags. 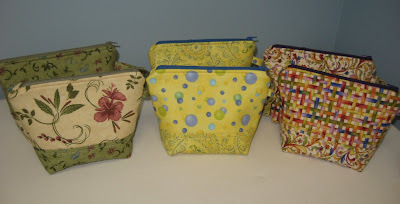 Hi Mary Grace, Your bags are just great, lovely fabrics! I also have that pattern . My big sis gave it to me and called it 'the anything bag'. It is amazing what you can put into them as they are not too big nor too small. I have a couple for sewing stuffand one for make-up. Before I saw your lovely ones I was thinking of making a new one or two. I think you have inspired me to do just that. sue~NZ. 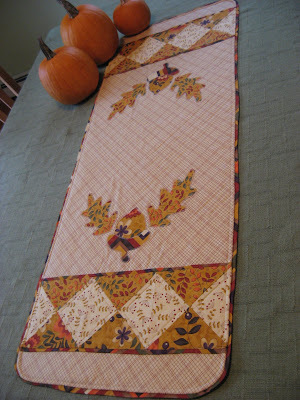 Crocheted Tablecloth ~ My Mom's at it Again! Upcycling Jeans ~ Don't waste that good denim!